Penn National, which began as a race track in the 1960s, has steadily grown into a large gaming company. It has expanded its business across several states. Now, it has stated it is going to invest heavily in gambling in its home state. Penn National is a gaming company spread across 29 different properties in the United States and Canada. But, its focus has been on Pennsylvania. It wants to establish a sportsbook in the Keystone State. Pennsylvania was a relative latecomer to gaming. Part of the reason was because of a concerted effort by religious conservatives to ban gambling. The state has had horse racing since in the 1960s. In the early 1970s, Pennsylvania added a lottery as a way to create property tax relief for senior citizens. There were many Pennsylvanians who wanted legalized casino gambling during the 1980s and 1990s. However, gambling didn’t become law until 2004, when the state government passed legislation that legalized casinos. 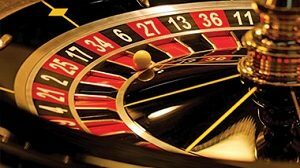 In 2009, the first year of operation, the tax revenue from gambling reached $776 million. The state also allowed mini-casinos in the airports and truck stops. With the same legislation in 2017, the state has allowed both sports gambling and online gambling. Economists estimate that the revenue from gambling will be close to $5 billion by the end of 2019. Opened in the late 1960s, Penn National was originally a race track. The Penn National Race Course included a race track and a horse track in 1972. Over the next two or three years, the horse track grew to have more than 100 races. Penn National went public as a corporation in 1982. The original business gradually expanded to include off-track betting in the 1980s. The company bought additional race tracks in the 1990s: Pocono Downs, Charles Town Races, Freehold Raceway, and Garden State Park. Penn National Gaming began picking up additional properties and bought its first casinos in Mississippi and Louisiana in 2000. It has shifted its focus away from horse racing and car racing and toward casinos and other forms of gaming. So far, the move has been successful. Penn National managed to double its revenue by the end of the first decade of the 2000s. The company has continued to diversify, acquiring hotels, casinos, and gaming companies. Penn National has applied for licenses for online gambling and sportsbooks. The company wants to connect the sportsbook to its horse racing and car racing simulcasts. But, it also wants to offer other opportunities for sports betting. Penn National has ideas for sportsbooks in other locations, including the idea of kiosks where players could place bets quickly. Online sportsbooks are also an option for gamblers in Pennsylvania. Unfortunately, the company will not be allowed to offer sportsbooks in all the states in which it has interests. However, as the legalization of sports gaming increases across the country, the company will be able to expand its sportsbooks. Future plans for Penn National include online sportsbooks and online casino games. The company also wants to move into online gaming at other properties it owns in the area. The company has said that its main property at Penn National will undergo renovations and prepare for the sportsbook trade. In addition, the casino plans to expand its holdings into Canada. The growth of Penn National has been welcomed in Canada and all the states into which the company has expanded. It has created jobs, added tax revenue, and increased tourist traffic. The increased traffic isn’t just in the large population areas, such as Philadelphia and Pittsburgh. It is also in the smaller towns in the state.